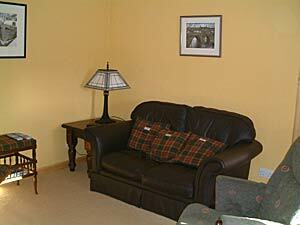 The cottage provides two bedrooms and comfortably sleeps four persons. 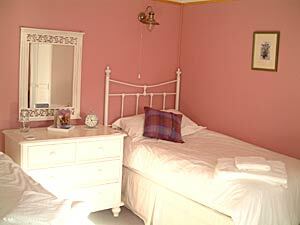 A double room with king sized bed and a twin room both offering a comfortable nights rest. 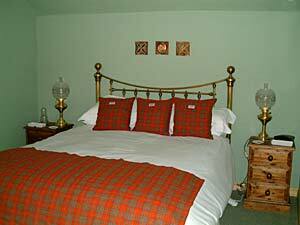 Of course, all linen is provided together with electric blankets and hairdryers. Our relaxing lounge features a cast iron fireplace, comfortable leather sofa and to really unwind a rocker, please don't fight over it! 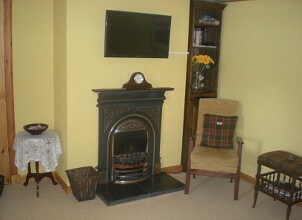 For your entertainment and relaxation we provide TV, Video, DVD, Hi-fi, Games and a small library of books with a slant to island life and culture. 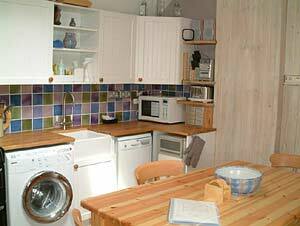 The fully equipped kitchen complete with farmhouse table provides you with ample dining facilities whether it be a full meal or relaxing over a coffee or two. 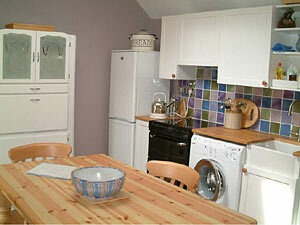 A full range of appliances including ceramic hob cooker, microwave, washer/drier, dishwasher and fridge freezer. 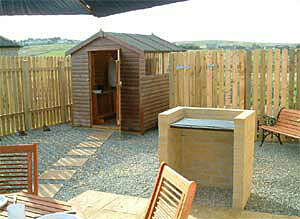 Our private garden with furniture, BBQ, shed and green house are for your use. 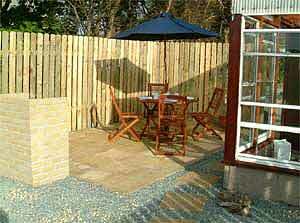 Provides covered space for hanging wet items of clothing and storage of bicycles etc. 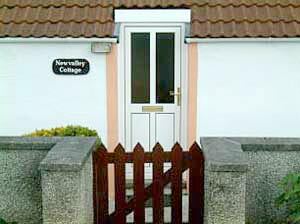 Bathroom facilities include a refreshing shower to start your mornings and a separate bath to unwind in after a pleasureable day of discovering the delights of the Outer Hebrides. 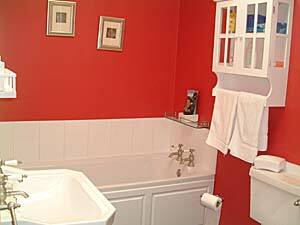 Naturally all towels are provided. 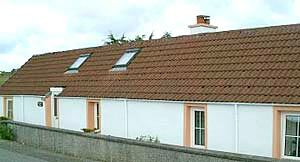 Heating is by oil central heating and electric storage heaters. Pay phone available. 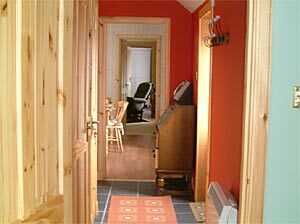 All heating and electricity inclusive.